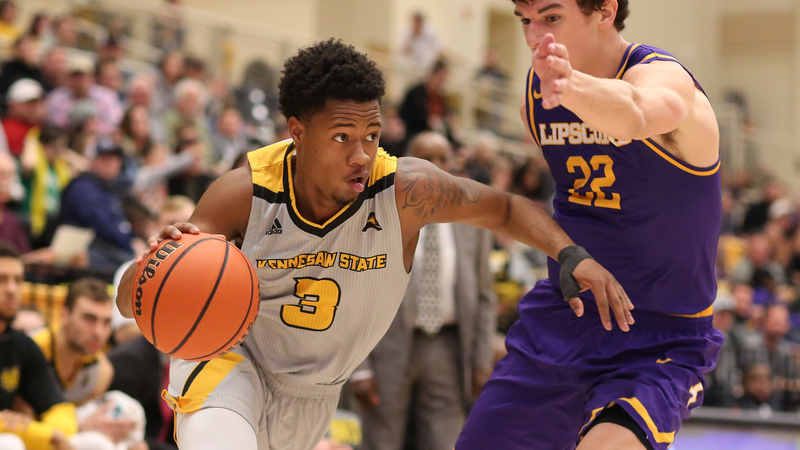 Kennesaw State’s leading scorer James Scott (17.3 PPG) has decided to transfer according to Jeff Goodman. I was anticipating this scenario for much of the past year, especially the last few months as I don’t think Scott was a huge fan of the flex offense. Kennesaw State now loses its two best players with Nick Masterson graduating, and are in a world of hurt heading into the 2018-19 season. The A-Sun will be stronger top to bottom than it has been in years. Kennesaw State’s leading scorer, James Scott, a 6-foot-3 sophomore shooting guard, is transferring. He averaged 17.3 ppg this year.